Padua College provides young men with an education which is not only Catholic, but distinctively Franciscan. 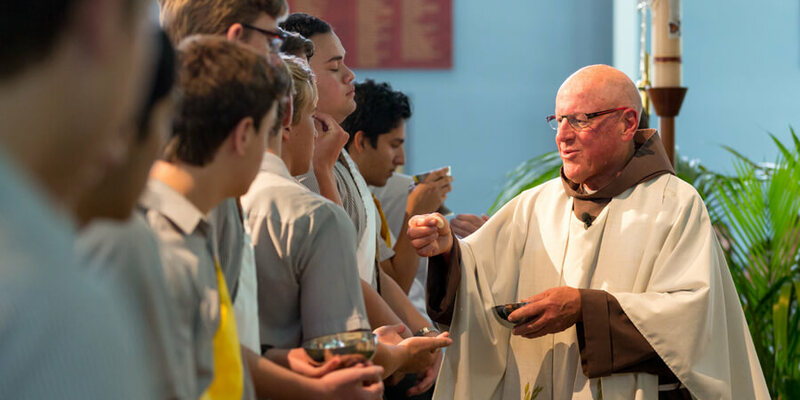 Reflecting the teaching and work of St Francis of Assisi, Padua is a place of acceptance where the pursuit of knowledge – both academic and spiritual – is nurtured and the Gospel values of joy, courtesy, humility and peace are fostered. We seek to operate as a faith community, rather than as an institution, offering an academic and social environment that assists in the development of self-worth, wisdom and quiet strength. We believe that this enables our young men to develop their own unique strengths and passions and thus contribute positively, as committed Christians in the world. We encourage active participation in prayer, worship and reflection, both during and outside of classroom hours. Formal involvement in the student community outreach program, including the Franciscan Lenten Appeal and Work and Welcome, is encouraged. Through these pages you can read about our students’ commitment to social justice, community and faith and their pursuit of a life reflecting the Franciscan values we deeply cherish. We are joyous, humble and peaceful. We are… Franciscan.